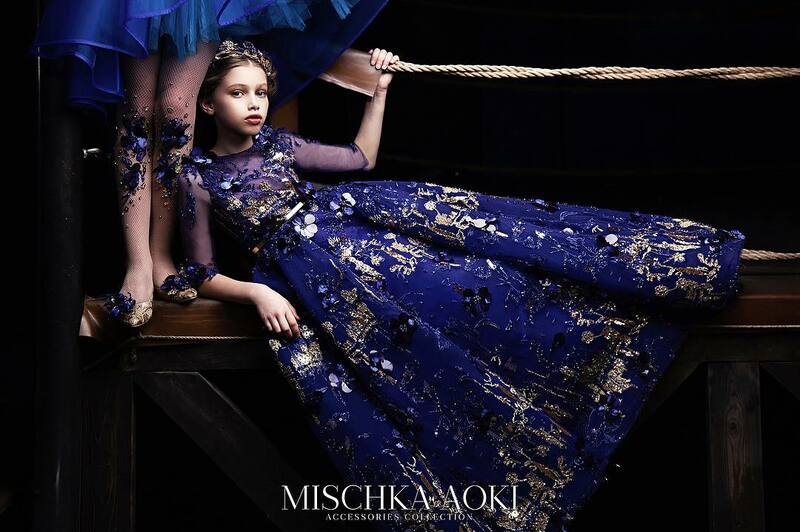 Designed with luxury and elegance in mind, this dress is a perfect example of Mischka Aoki’s exquisite sense of craftsmanship and vision of extraordinary style. 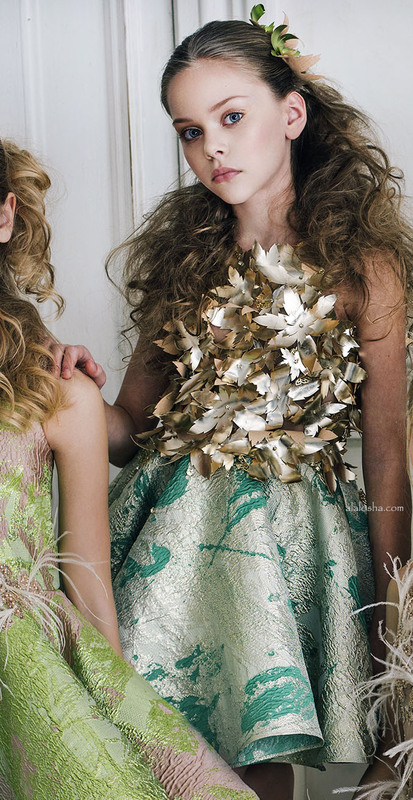 Girls metallic green and gold dress by Mischka Aoki. 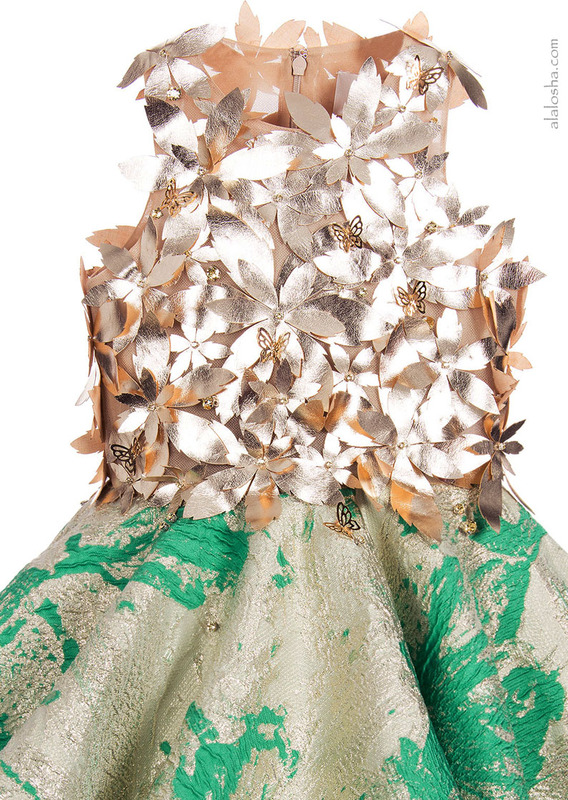 This fabulous 'It's Magic' design has a fitted tulle bodice, embroidered with metallic gold floral and butterfly appliqué. The jacquard skirt has a beautiful jade green shimmer that reflects the light and is flared and fluted, with stiffened petticoats underneath to maintain the full shape. 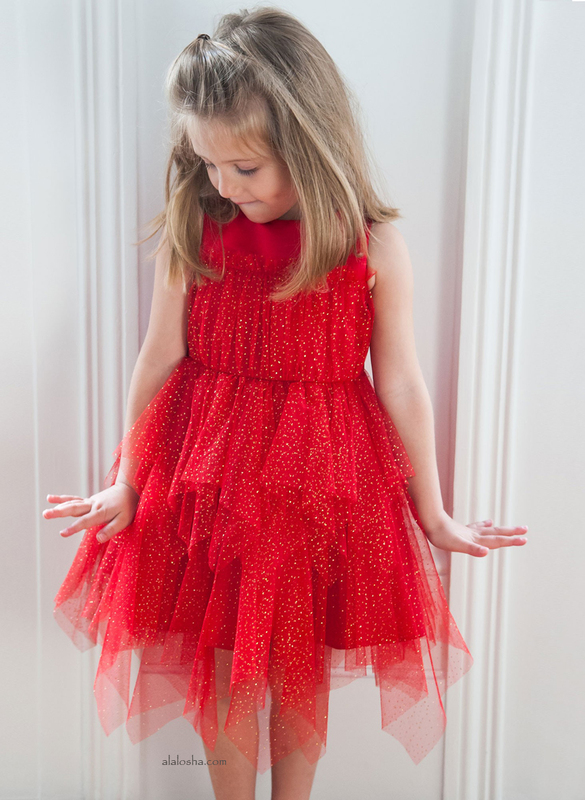 The dress fastens at the back with a concealed zip and is fully lined in a silky fabric for comfort.